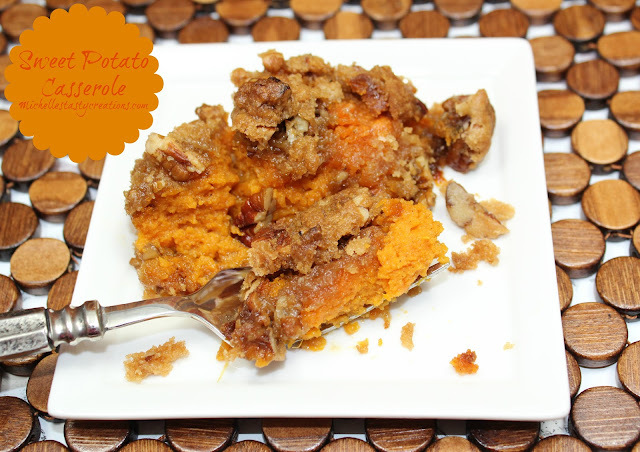 A few weeks ago Mary from Sweet Little Bluebird posted this on my link party and I fell in love the minute I read the recipe. 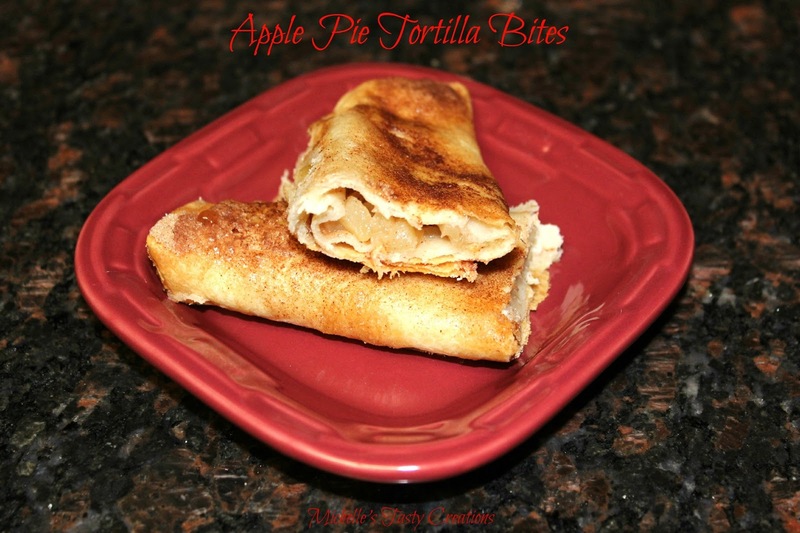 Apple Pie Tortilla Bites, Mmmmm. I made them a few days later and everyone loved them. There wasn't any left after dessert was served. Preheat oven to 350 degrees. Spray two 9 x 13 baking dishes (if using the small tortillas and only 1 baking dish if using the large tortillas) with cooking spray and set aside. Wash, peel, and dice the apples and place in a bowl. Toss the apples with lemon juice. Add the sugar, cinnamon, nutmeg, salt, and flour to the apples and give them a good toss until completely coated. Place about 1/4-1/2 cup of the apple mixture (depending on the size of the tortillas you are using) in the middle and spread out the length of the tortilla. Roll up the tortilla and place in the baking dish seam side down. Repeat until all the apple mixture is used. I got 16 small filled tortillas. Brush tops and sides with the melted butter and sprinkle liberally with the cinnamon sugar coating. Cover with tin foil and bake for 30 minutes. After 30 minutes remove the foil and continue baking 15 more minutes or until the apples are the desired tenderness that you like. Serve warm or cold. I even cut some of them into bite sized pieces. Yay! I'm so glad you like them! I can't tell you how many batches I've made this fall, too many to count! Thanks for the shout out and I'm so glad you liked my recipe! Hope you have a wonderful weekend! Oooh, they look fantastic! This is definitely going on my to-make list! Thank you for your sweet comment about my post! 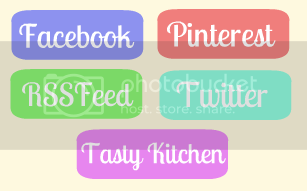 I would love for you to share it in one of your link parties! That is so kind of you! Thanks Neha for stopping by. Thanks Winnie. They are super delicious. Looks yummy! You have a great site. Thanks for participating at SHOW-licious Craft Showcase! :) I host it every week, I hope you return to post more of your great things! Visiting from Inspire Me Monday - these looks so good. I also saw them on the same blog that you did - and am thinking that I need to try them, as well. I would so eat some right now!!!! oh I think I'm going to have to open one of my apple pie fillings to try this out! (heck, saves the extra time there). Thanks for linking up to Foodie Friday! What a fun and yummy dessert. Hope you are having a great fall weekend and thank you so much for sharing with Full Plate Thursday. I love the details instruction pictures! Seriously? You are making my mouth water! I'm so happy I found your blog. I'm definitely following along. I found you through the blog hop! wow those look sooo great !